Driverless Cars – Is China Taking The Lead? When the Western media talks excitedly about driverless cars, the conversation tends to focus on the likes of Apple and Google, or established car manufacturers such as Ford and Mercedes. 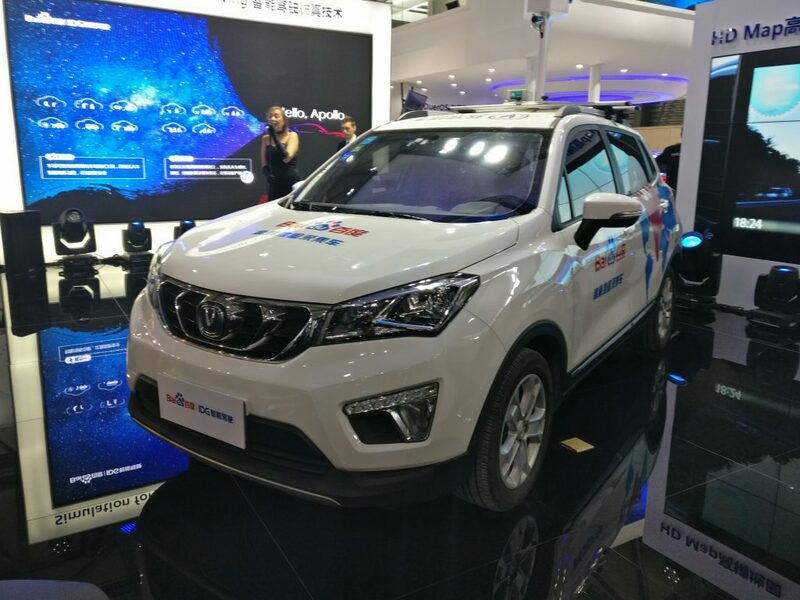 However, as Baidu’s impressive keynote address at CES Asia shows, Chinese tech companies are at the forefront of the race to develop autonomous driving technologies. According to Tesla, an autonomous vehicle needs to be driven by a human for over 600 million miles before it can be properly trained to function without a driver. This staggeringly high number also shows why Baidu is such a leader in the field, because it has two advantages that its Western competitors don’t: an endless supply of labor and an almost infinite supply of road to train its vehicles on. Ingeniously, Baidu has outfitted the vehicles used to collect data for its Baidu Maps service with its own autonomous driving technology, meaning that each member of Baidu’s fleet is doing two jobs in one: capturing data and training its AI programs to react to real-life road situations. Baidu of course not only has access to manpower, but also some of China’s best brain power, and recently the company has been trying to make the most of this through its “Road Hackers” program. This competitive long-term hackathon asked employees to form their own teams of 3 and compete to improve Baidu’s cars. In total, 50 teams made up from the company’s top engineers have taken part, with three winning entries eventually selected. The resulting technology is on display at CES Asia, and is hugely impressive. 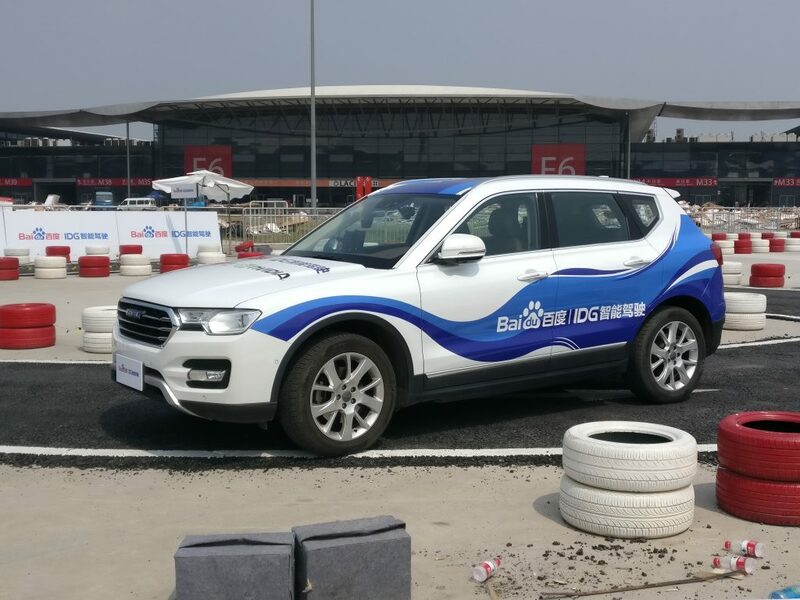 Baidu’s autonomous vehicle reacts to steering challenges well, reads roadsigns, and also reacts to unexpected obstacles en route (though by Baidu’s own admission their AI currently struggles with acceleration). The need for driverless cars is particularly acute in China, where more than 300 people currently die in car accidents every day. The country’s rapid urban development means that its roads are regularly choked with traffic jams, which could lessened dramatically by autonomous traffic management systems (such as Honda’s Safe Swarm, which is also on display at CES Asia). The nascent driverless car industry is also helped by the close involvement of the Chinese government and its unparalled ability to swiftly implement massive infrastructure projects. Vehicle registration is also highly complex in China, meaning central and local governments only need to make minor tweaks to incentivize consumers to embrace driverless cars. Though it will be a long time before driverless cars become the norm anywhere in the world, Baidu’s impressive presence at CES Asia should give industry observers pause for thought. Whilst Silicon Valley has a well-earned reputation for game-changing innovation, the real breakthrough could well come from the other side of the world. Copyright © 2011-2018 Hill+Knowlton Strategies. All Rights Reserved. We have updated our Privacy Notice for this website. Please click below to review.